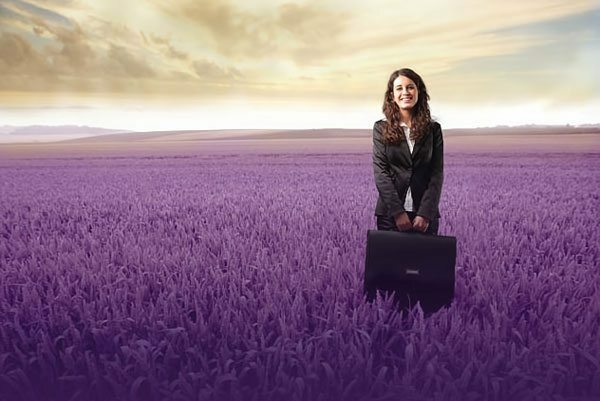 Thrive is a UK Recruitment Agency that specialises in highly-skilled technical markets, offering job solutions in areas such as Engineering, IT, Oil & Gas. It was set up in early 2013 by a leading international recruiter who had a wealth of experience, working with growing SMEs to large International clients across EMEA, APAC, Russia and America. They got in touch with Inkbot Design to create an agency logo design and set of branded materials to better facilitate their company message. The name ‘Thrive’ was chosen to represent what the company does: helping people achieve; to prosper in their careers and to help companies grow by recruiting the right people for the jobs. Targeting Senior Directors/Managers/HR Managers in the very competitive industries of Engineering, Oil and Gas required a distinctive and professional logo design. However, also aiming to attract job seekers meant there needed to be a balance drawn with personality and positivity so as not to alienate either party. The balance in typography within the recruitment agency logo design was given to show a dynamic feel, with the mix of sharp and round edges. Further typography in the corporate stationery and marketing materials consisted of a tagline typeface that appeared in a limited fashion – the handwritten style helps to push the human nature of the brand. 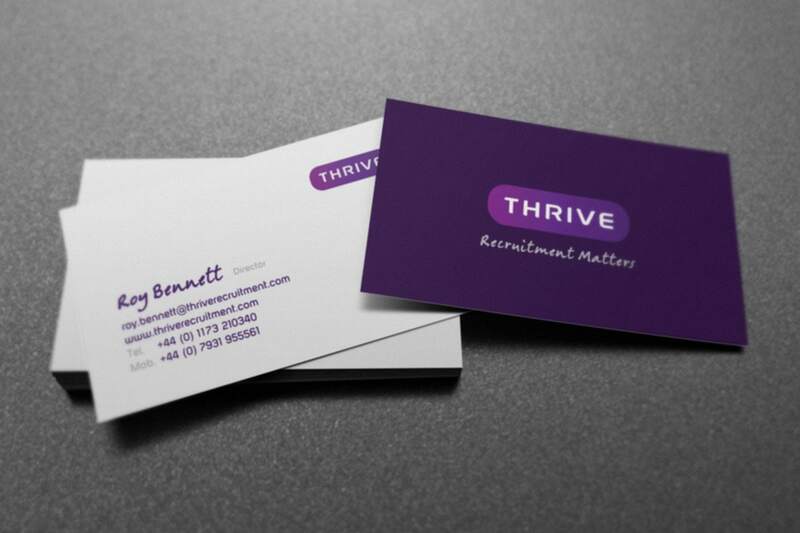 Keeping everything simple overall, and working with the primary brand colour of the mid-purple allowed for a clean and professional appearance to the branding. A minimalist approach was taken to make sure ‘white space’ let things breathe whilst purple did not overwhelm the design. I cannot recommend Stuart highly enough. Throughout the process, he ensured that he really “got” the brief. He devised some great logos and he carried out many tweaks, to ensure that we were completely happy. Stuart is very easy to deal with and maintained an air of calmness from start to finish. Looking for a Logo Design Agency?